Welcome to the world of Haier innovation and experience large screen, ultra high definition television entertainment, and smart internet connectivity right in your own living room. 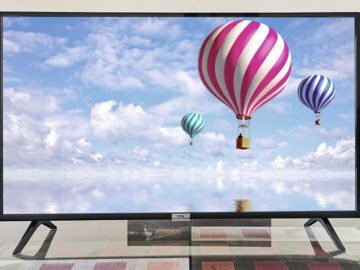 Haier’s latest introduction in the market, the 4K HDR LED televisions (LE75H9100UA) is an android smart TV that offers real-world entertainment beyond the accepted standard for home television. With a large 75 Inch widescreen, it offers a true cinematic experience right in your own living room. The Android operating system creates a remarkable interactive television experience giving you access to the World Wide Web, App Store, Gmail and also allows you to download android apps including video games along with a built-in YouTube app to watch your favorite movies come to life. It is keyboard and mouse attachable to make surfing easy and enjoyable. The video calling feature enables users to hold video conferences and connect with their relatives and friends on Skype. The new LED TV is capable of playing 4K content, which is now increasingly coming into the market. With four times the resolution of traditional HD displays, 4K Ultra HD offers a massive improvement in picture clarity over existing HD resolutions – far beyond the capability of ordinary LEDs. All you have to do is connect your USB to the 4K port and watch movies in ultra-high definition.